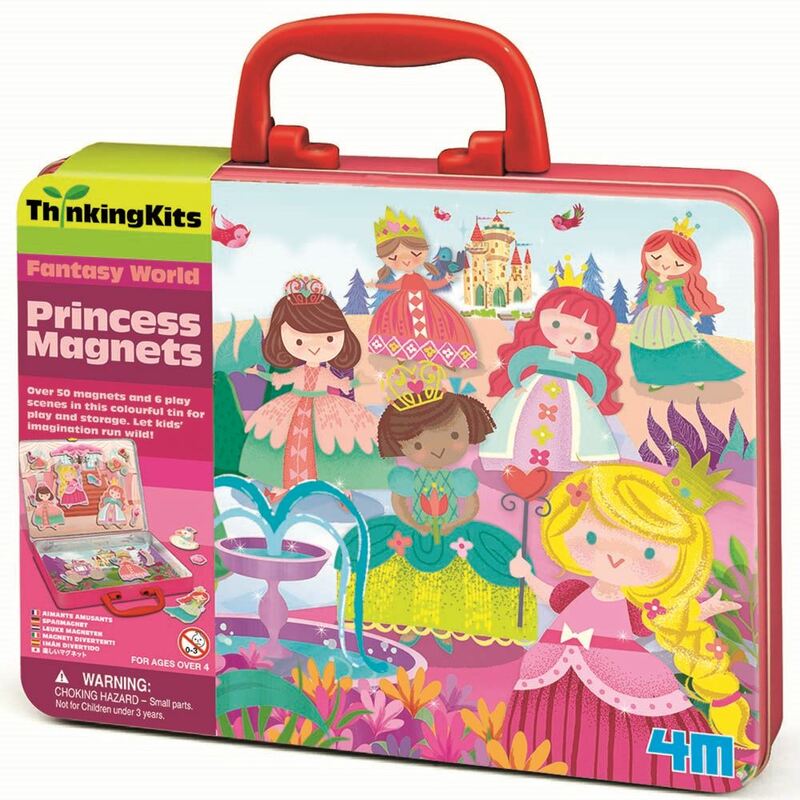 Let kids' imagination run wild with the Princesss Magnets Kit from 4M! Comes with a colourful tin for play and storage. Includes: over 50 magnet pieces, 6 scenes and 1 plastic easel (200mm in height). Age 4+ years. Part of the Thinking Kits range. Distributed in New Zealand by Holdson.